This generation of tech-savvy consumers wants close relationships with organizations that utilize in multi-channel communications. Mobile Text, email, social Networks, Blogs- Our All-In-One Marketing service integrates them ALL. For the same price other companies charge for email marketing alone, with our service you can stay in constant contact with your opt-in audience via any or all models of communication with just one click. Why Choose Direct Texting ? Individuals are never again constrained to picking only one correspondence channel. DT's cross-channel informing stage gathers all real correspondence media in one incorporated dashboard for greatest informing sway. Regular versatile watchword innovation just enables you to gather crusade members' portable numbers. Presently, with ONE Keyword, you can classify and store different client data to widen your advertising reach! Likewise DT will give you the shortcode. Don't you have your very own site? DT will do it for you. Our web designers will make stunning sites for you. Additionally DT provide you the domain to hosting the site. Remain associated with your clients and increment your business. DT will create customized stickers for you. Our web designers will make stunning stickers for advertising your business. You can attach these stickers through DT's All in one Marketing in just one click. DT provides cost effective All in One Marketing Services, including SMS, MMS, Email, Instant Message, Social Media (Facebook, Twitter). DT have various pricing options. Basic, Standard, Premium, Enterprise. See our pricing for more details. Queries??? Don't worry. We do have 24/7 Email support. It’s time to get your business out of its economic slump by finding innovative ways to reach your customer base utilizing our software. Instead of focusing on a single channel to communication that isn’t reaching your audience, why not go multi-channel? Save time and money by learning a software that allows you to reach out in more ways than before! Save time and money by learning a software that allows you to reach out in more ways than before! These dynamic barcodes make it easy to promote your business or organization in a number of ways. Your audience can instantly connect with you. Keywords are one of the most versatile tools in text marketing. It give you the ability to run campaigns that are bound to capture audience's attention. Who doesn't like discounts? With multi-channel coupons, you can send coupons directly to your customers' mobile, or offer them straight from your FB Page. Missed appointments and reservations mean lost revenue. 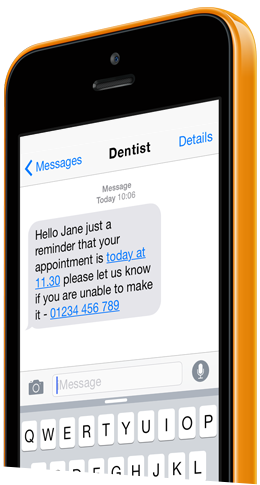 Prevent no-shows by sending SMS texts, reminding them of their upcoming appointments. There is no better medium when it comes to word-of-mouth marketing than social media. Consumers look for businesses and organizations on social networks. Personalized voice messaging delivers announcements and alerts in a more familiar manner. With Voice Broadcast, you can send pre-recorded messages. Mobile Marketing is HOT and everyone uses it now ! You see Mobile keywords all over TV and hear the, on the radio all the time. You see them advertised in magazines, newspapers, websites, and billboards. 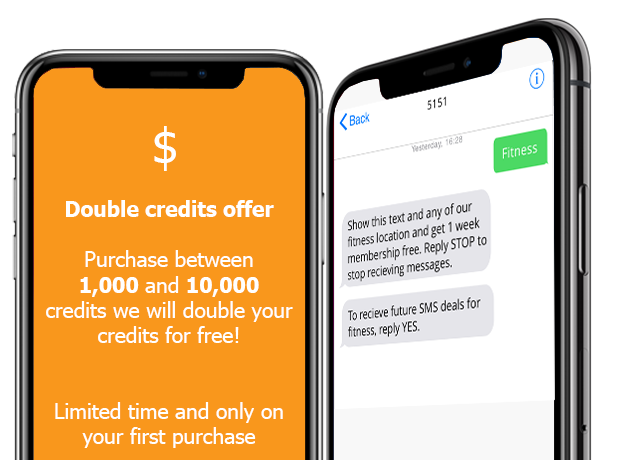 People text a Mobile keyword to a Short Code number to join a mobile distribution list and then an automated response texted back with a customized welcome offer. Later, you can send them important text alerts, news, and promotions resulting in huge and immediate response rates that you can’t experience with email marketing alone.